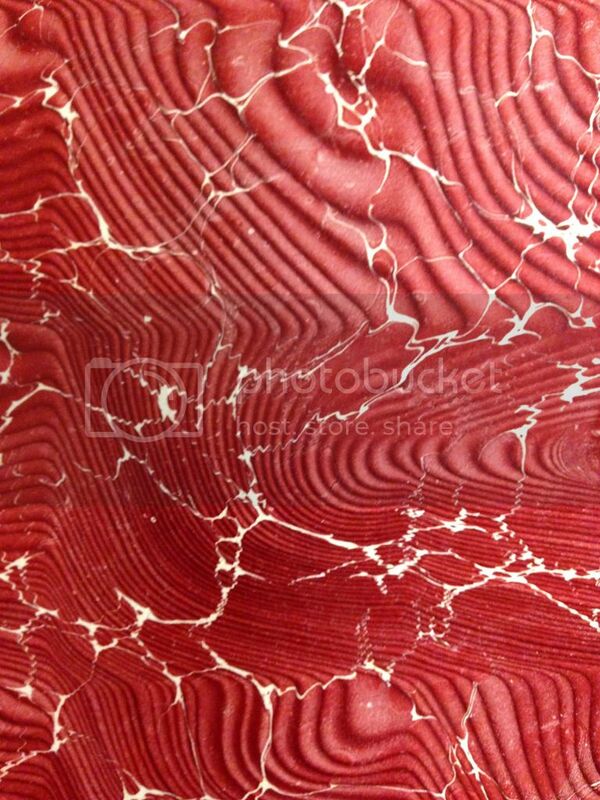 Welcome to another week, and another edition of #marbled monday! 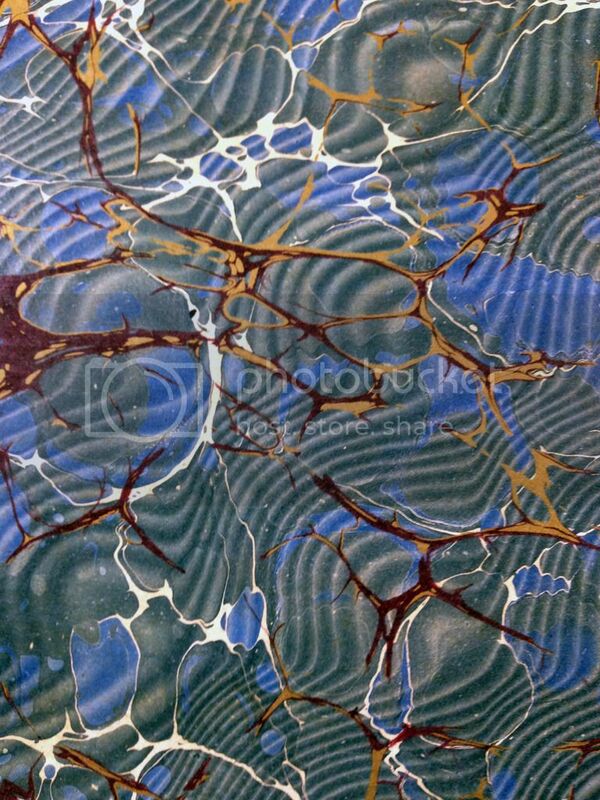 Take a look at these beautiful end-papers from volumes in Special Collections & Archives. These beautiful volumes are available for viewing in Special Collections & Archives Monday-Friday, 9:00-4:30. Today marks the 33rd anniversary of the death of American playwright Tennessee Williams. Tennessee Williams was born Thomas Lanier Williams on March 26, 1911, in Columbus, Mississippi. 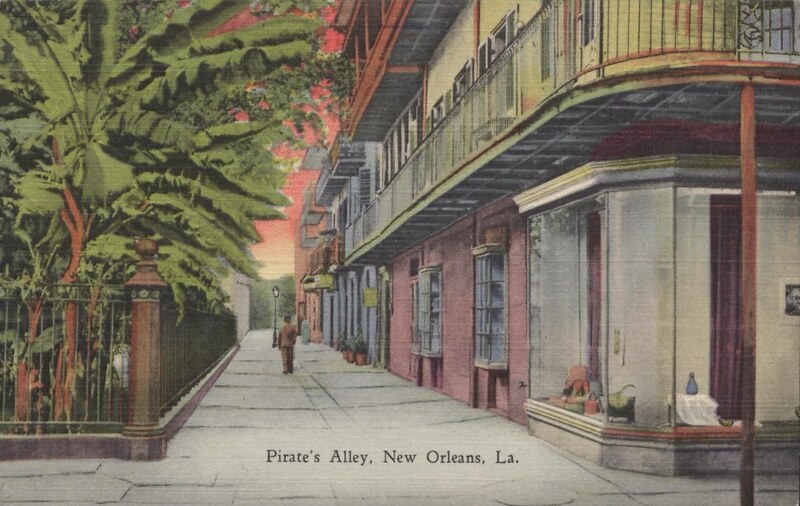 After spending his later childhood in St. Louis, Missouri, Williams eventually moved to New Orleans, a city that would inspire much of his writing. Williams wrote notable plays as The Glass Menagerie and A Streetcar Named Desire, for which he earned the Pulitzer Prize, and is considered one of the greatest American playwrights of the Twentieth Century. In 1941, Williams moved to Key West, Florida. After decades of alcohol and drug abuse, as well as struggling with mental illness, William’s brother Dakin came to visit in 1969. Having recently been converted to Catholicism himself, Dakin convinced Williams to meet with a Catholic priest, Father Joseph L. LeRoy, S.J. of St. Mary of the Sea church. Five days later Williams was baptized into the Catholic church, even though he had previously been baptized and raised as an Episcopalian. According to LeRoy, Williams said he believed he had always been a Catholic, in spirit. Williams claimed later to have never taken his conversion seriously. In the aftermath and publicity, it was determined that since Williams was likely already baptized as an Episcopalian, Father LeRoy had violated guidelines set forth by the Vatican in 1947 which stated, “indiscriminate conditional Baptism . . . cannot be approved” unless “reasonable doubt persists” as to the previous baptism of the person. Father LeRoy was unaware of these guidelines at the time of the baptism and was thus called forth to explain his actions to Church leaders. Tennessee Williams died on February 25, 1983, in New York City, apparently from an accident resulting from too much drug and alcohol use. Father Joseph L. LeRoy, S.J. was a member of the New England Province, had been a missionary to Jamaica and was the Reverend at St. Mary, Star of the Sea church in Key West, Florida. 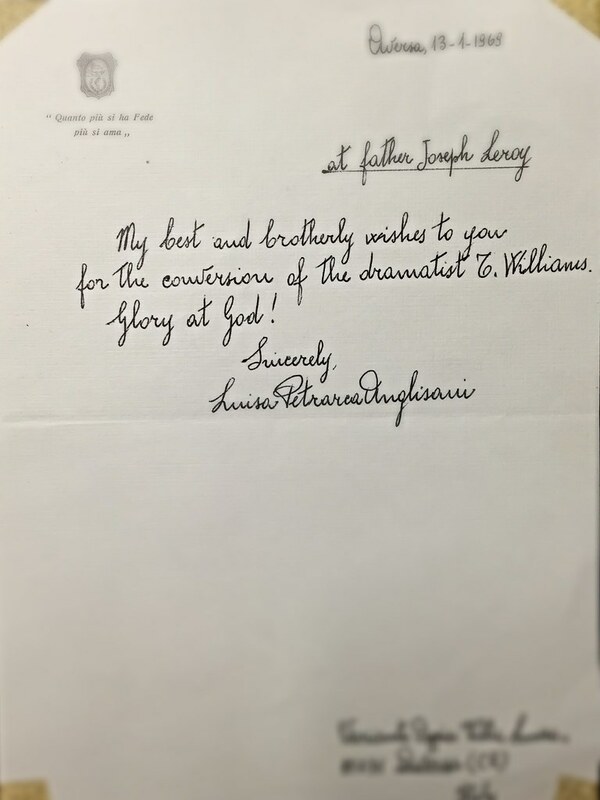 The Tennessee Williams Baptism Collection is available for viewing in Special Collections & Archives Monday-Friday, 9:00-4:30. 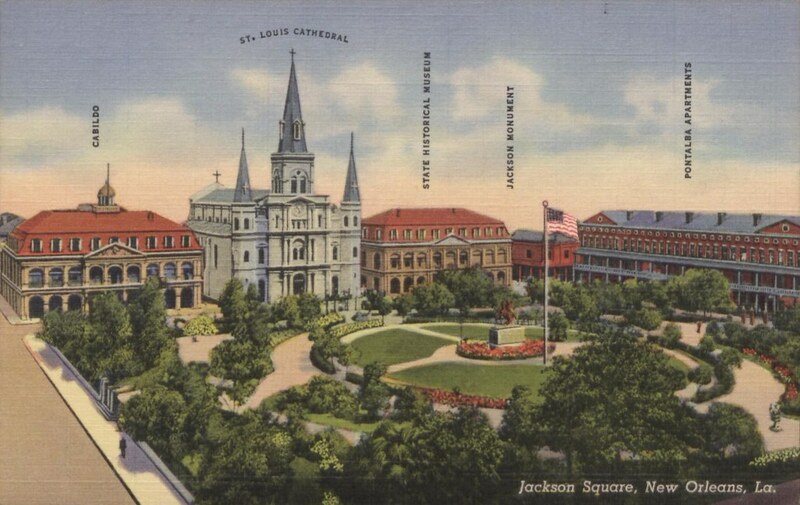 Series I of the collection includes postcards that consist of true photographs, both hand colored and black and white, as well as hand drawn images of Catholic structures and locations throughout the state of Louisiana, including postcards of Loyola University in New Orleans. The majority of the postcards depict the exterior of churches, but there are several interior images and other exterior subjects included. 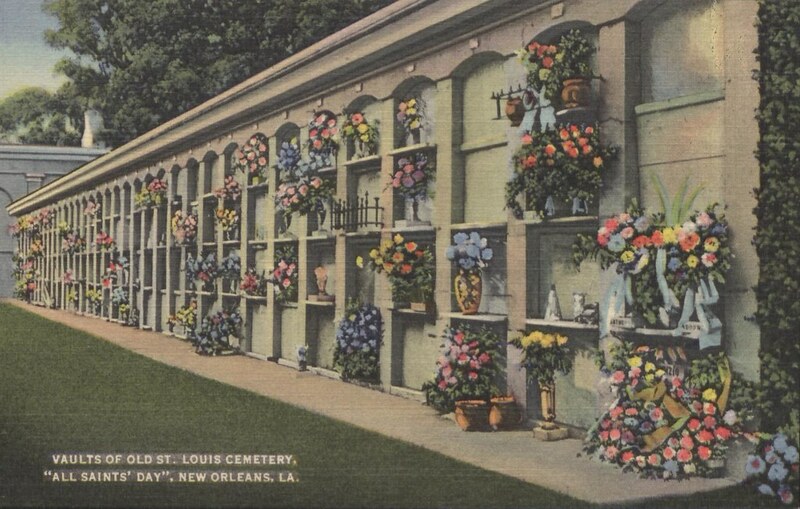 A majority of the postcards in this series are addressed to Mrs. Lena Sawyer, a resident of New Orleans, Louisiana. This is an artificial collection informally collected over time at the Loyola University New Orleans Special Collections & Archives. Series II of the collection features postcards and postcard booklets from foreign locations, mainly in France and Switzerland. None of the postcards in this series are addressed. Special Collections & Archives, located on the third floor of Monroe Library, is open for research and quiet study Monday-Friday, 9:00-4:30. 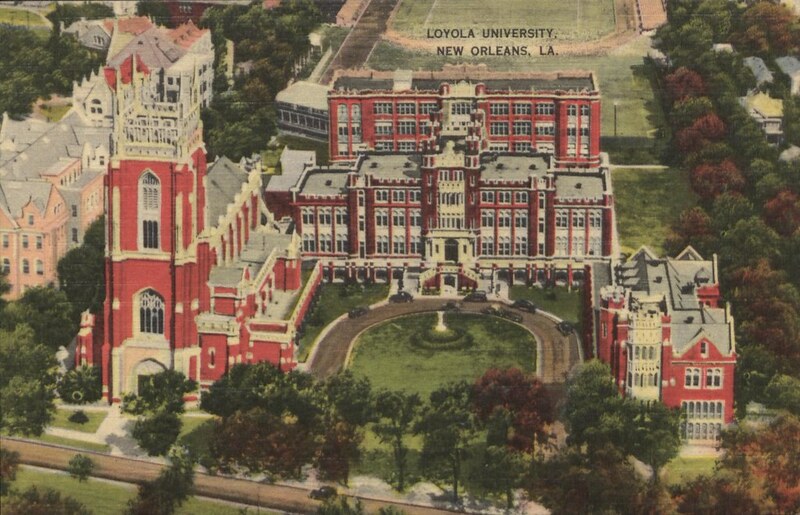 In anticipation of today’s inclement weather in the New Orleans area, Loyola University New Orleans will be canceling all remaining classes and activities beginning at 12:30p.m. today (February 23, 2016). The Monroe Library will be closing at 1 pm. Normal campus activities and operations will resume tomorrow. Happy 383rd birthday, Samuel Pepys! 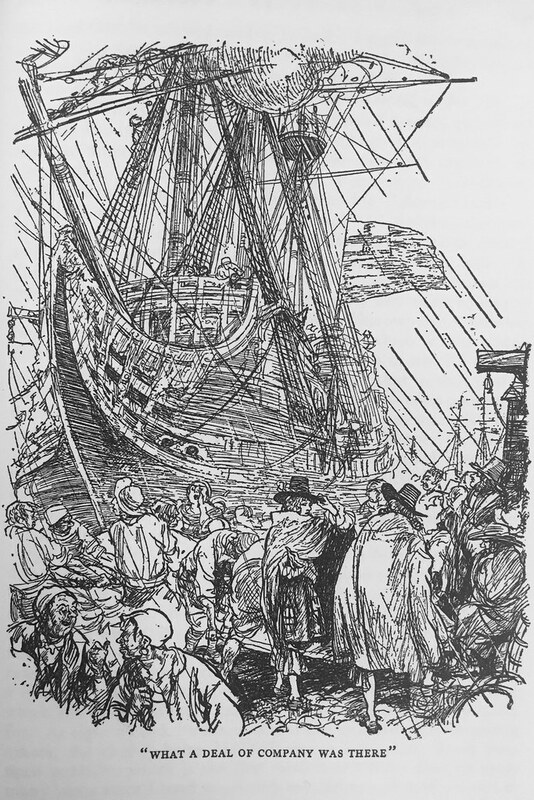 Samuel Pepys, an Englishman who rose to renown as a naval administrator and member of Parliament, is best-known not for his professional success but for a diary kept 1660-1669. 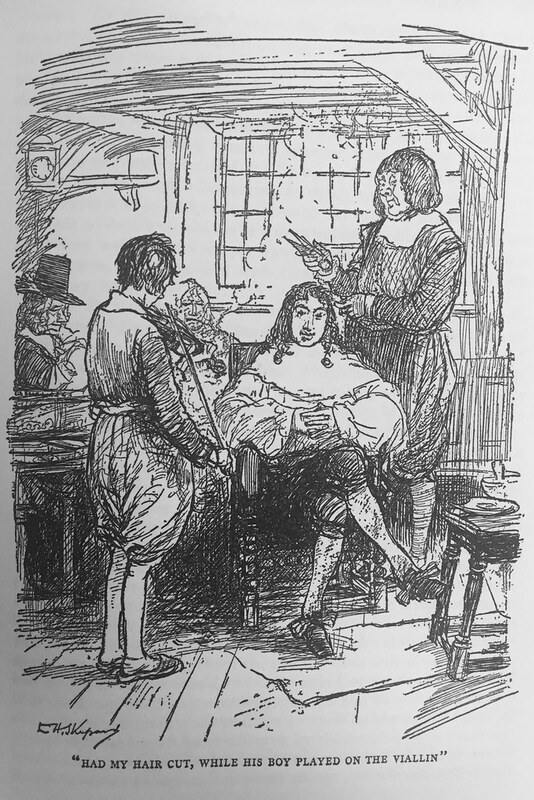 Everybody’s Pepys: The Diary of Samuel Pepys, 1660-1669 is a gem–perhaps the most important primary resource for the study of the English restoration period! The diary records the daily life of Pepys for nearly a decade and recounts major events including the Second Anglo-Dutch War, the Great Plague of London, and the Great Fire of London. Nick Hern playscripts now in Drama Online! Drama Online is an online collection of play scripts and writing about drama from Aeschylus to the present day. The Monroe Library has recently added an additional 256 scripts from the the publisher Nick Hern, by a wide variety of authors. There are historical dramas, murder mysteries, one-character plays, satires, and more. This additional collection can be browsed at http://www.dramaonlinelibrary.com/series/nhb-modern-plays-iid-135039 or found through a search of the entire Drama Online collection. 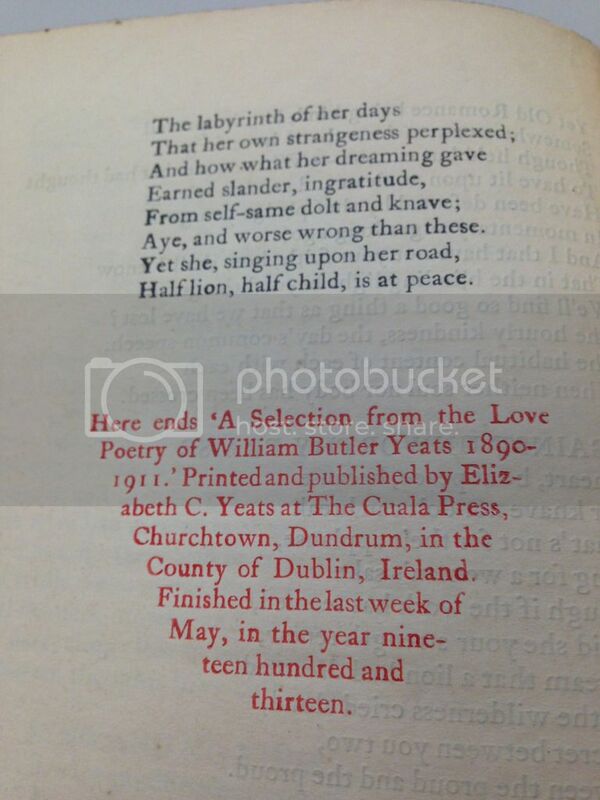 Our Valentine’s treat is to highlight our copy of A Selection from the Love Poetry of William Butler Yeats. 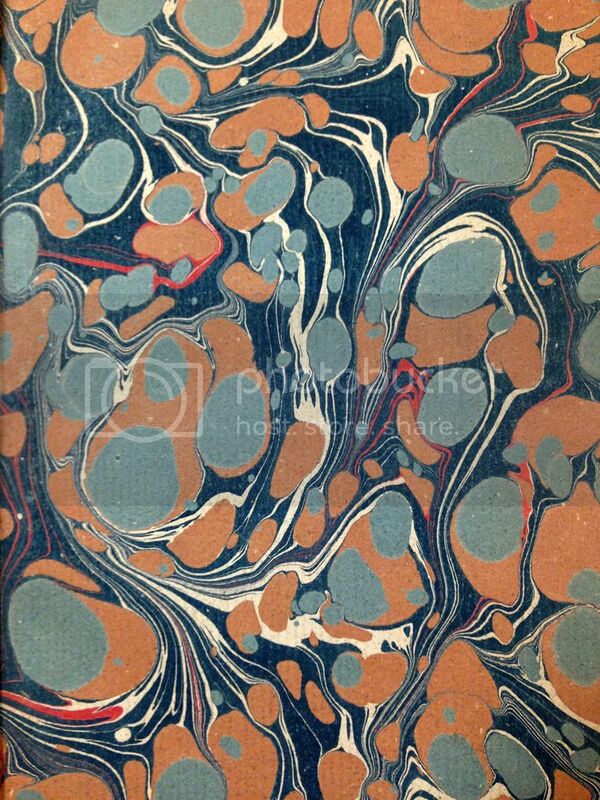 Hand-printed in 1913, in an edition of 300, the volume was the product of the Cuala Press. 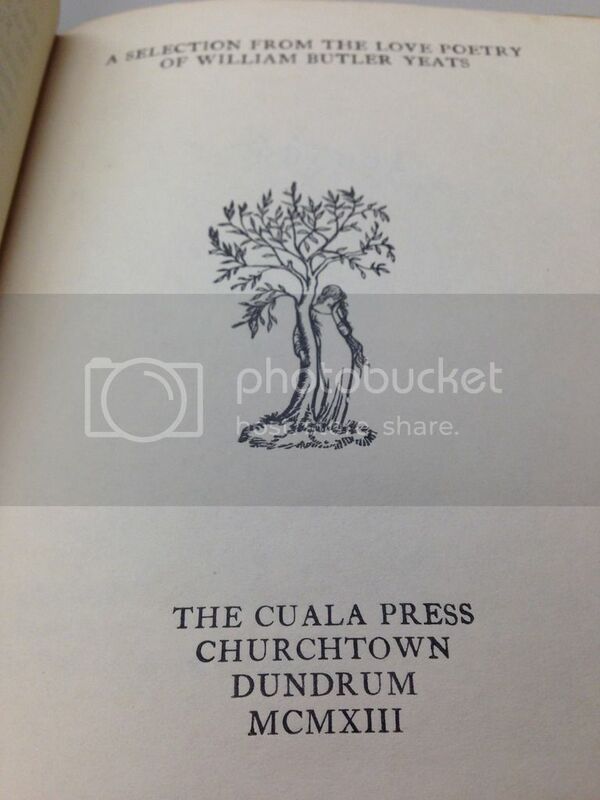 The Cuala Press, initially the Dun Emer Press, was part of an Arts and Crafts studio operated by W.B. Yeats’ sisters Elizabeth Corbet Yeats and Susan “Lily” Yeats. Elizabeth had learned the art of hand printing from William Morris, and the work of the Kelmscott Press was hugely influential on the Cuala Press. 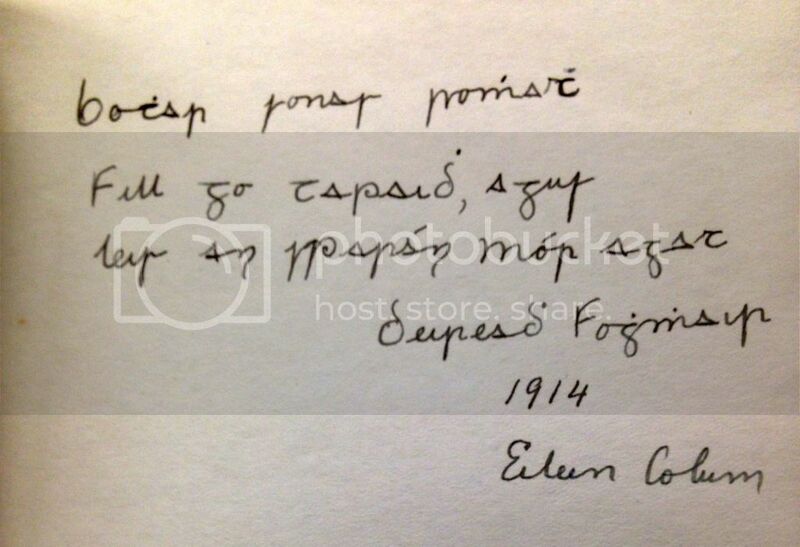 Our copy contains the following inscription in Irish Gaelic. We would love to know what it says! A Selection from the Love Poetry of William Butler Yeats is available for viewing Monday through Friday in the Booth-Bricker Reading Room from 9:00 – 4:30. Read more about the work of the Yeats sisters in The Dun Emer Press, Later the Cuala Press in the Monroe Library’s circulating collection. Carnival is over. Lent has begun. 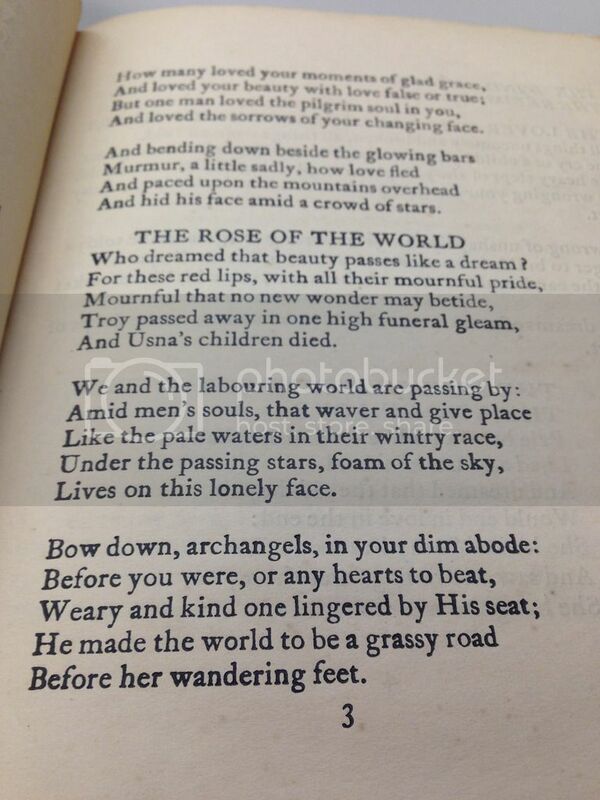 Here in Special Collections & Archives we are marking the occasion with a poem: T.S. Eliot’s Ash Wednesday. Originally published in 1930 by Faber and Faber, our copy was published in 1933 at the Alcuin Press, England. 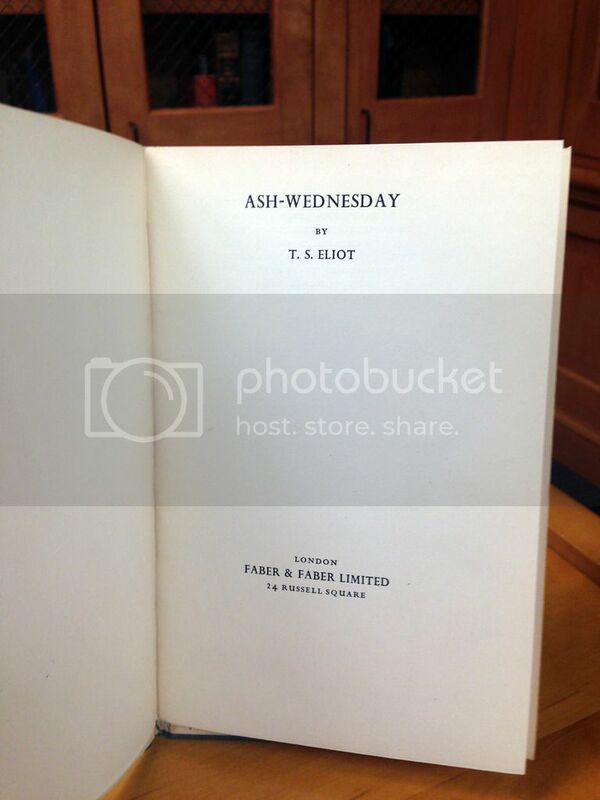 Listen to Eliot read Ash Wednesday here, and come read it for yourself in Special Collections & Archives. To continue with a theme we introduced on Tuesday with our post on James Joyce, we bring you another Irish writer from our special collections. Padraic Colum was an actor, writer and participant in the Irish Literary Renaissance. Close friends with James Joyce, he helped type pages for Finnegan’s Wake as well as wrote a biographical reminiscence about Joyce with his wife Mary Colum called Our Friend James Joyce. 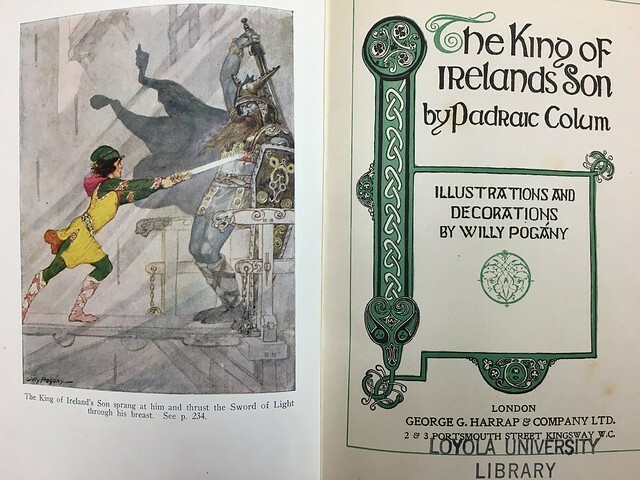 The Padraic Colum book from our collections that we chose to showcase today is his children’s novel, The King of Ireland’s Son. 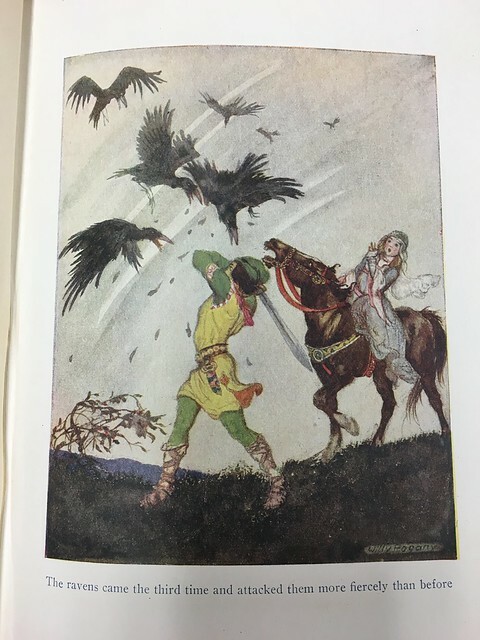 Beautifully illustrated by Hungarian illustrator Willy Pogany, the book is a collection of Irish folktales. 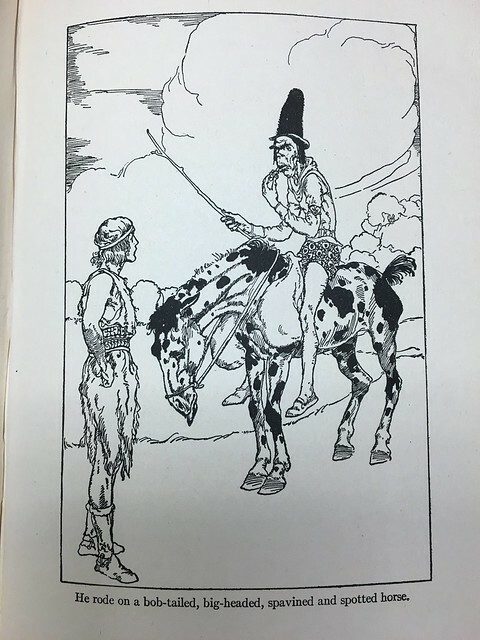 Written when Colum was living in the United States, and published the same year as the 1916 Easter Rising, his writings sought to bring the myth, folklore, and the dream of Ireland to children and adults alike. This volume is available for viewing Monday through Friday in the Booth-Bricker Reading Room from 9:00 – 4:30. It is also available online in both digital book and audio book form. It is Color Our Collections week! 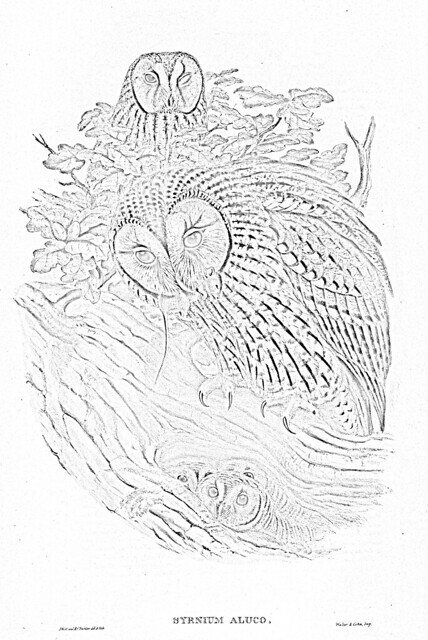 A week-long special collections coloring event inspired by the current coloring craze and the fabulous images found inside special collections worldwide. Organized by the New York Academy of Medicine and happening from February 1st through the 5th. 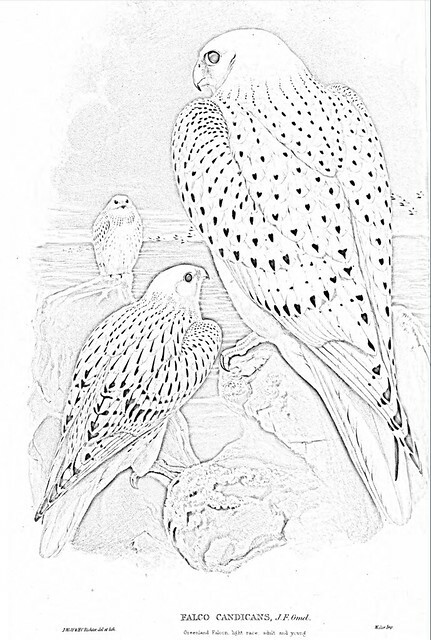 Follow this LINK to download, print, and color images from volume one of British zoologist John Gould’s publication The Birds of Great Britain. Once you’ve colored your picture(s) share them to social media including the hashtags #ColorOurCollections and #loynosca! 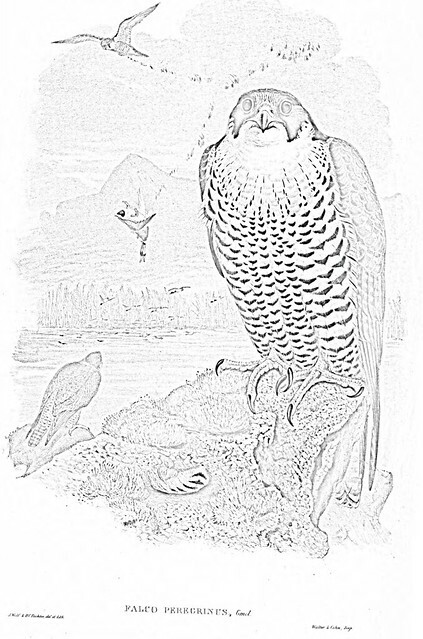 Today also happens to be the 135th anniversary of John Gould’s death. 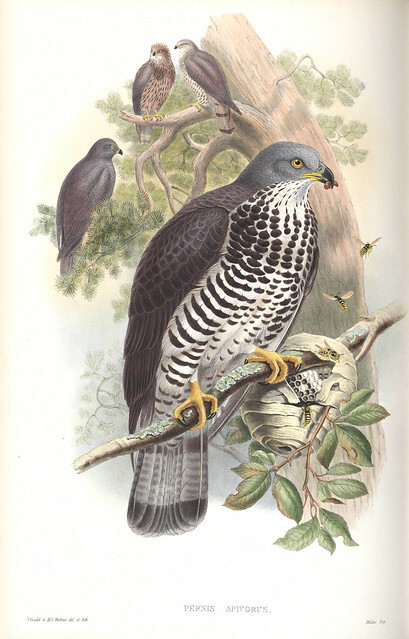 Gould was a British zoologist active throughout the mid-19th century and known chiefly for the over 3000 hand colored lithographs that he produced throughout his career. 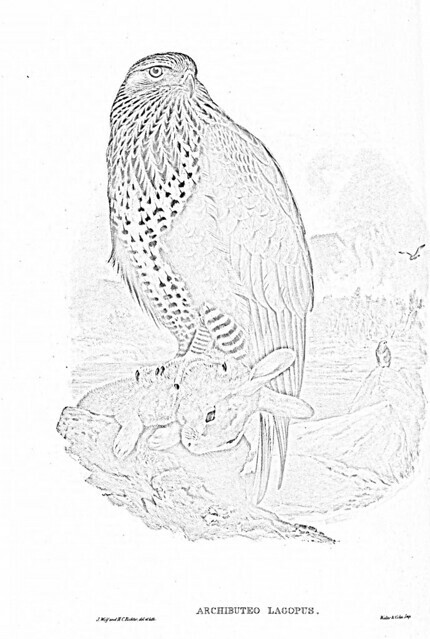 The first volume of The Birds of Great Britain, can be found in Special Collections & Archives at Loyola’s Monroe Library and online as part of our digital collections. 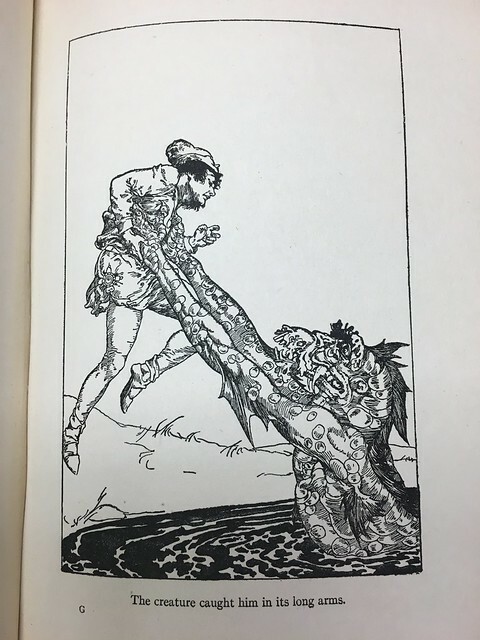 Follow these links to explore some of the other institutions participating in Color Our Collections Week and happy coloring! 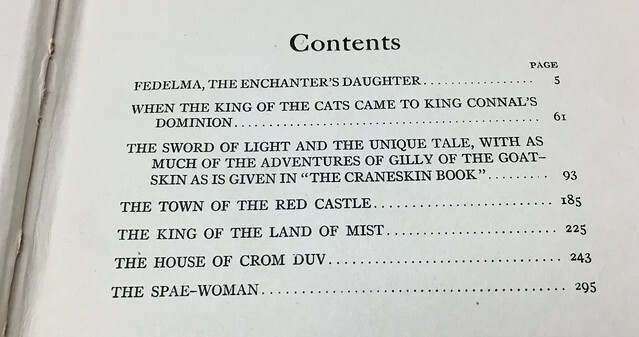 You are currently browsing the Library Lagniappe blog archives for February, 2016.